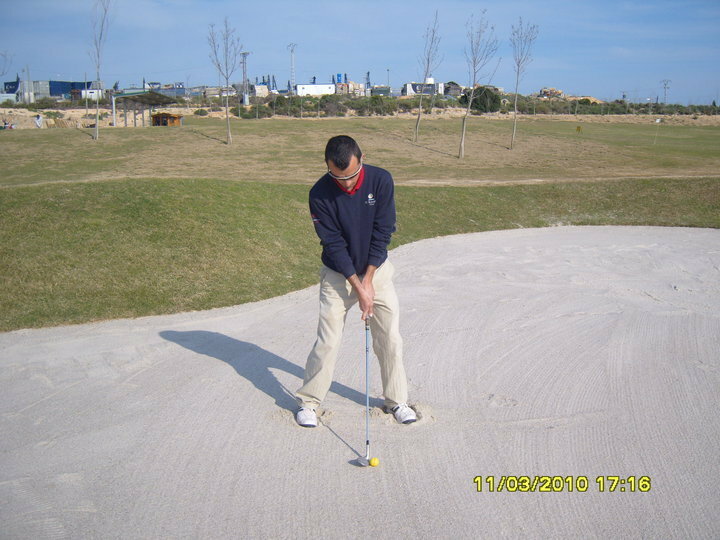 The technique I am going to describe is easy to learn and works from all types of bunkers. This month you will only get one drill to practice, and this is the most important part of the technique so I am going to give you the drill first. The drill is aimed at getting the “entry point” in the sand consistent, making it easier to be a consistent bunker player. 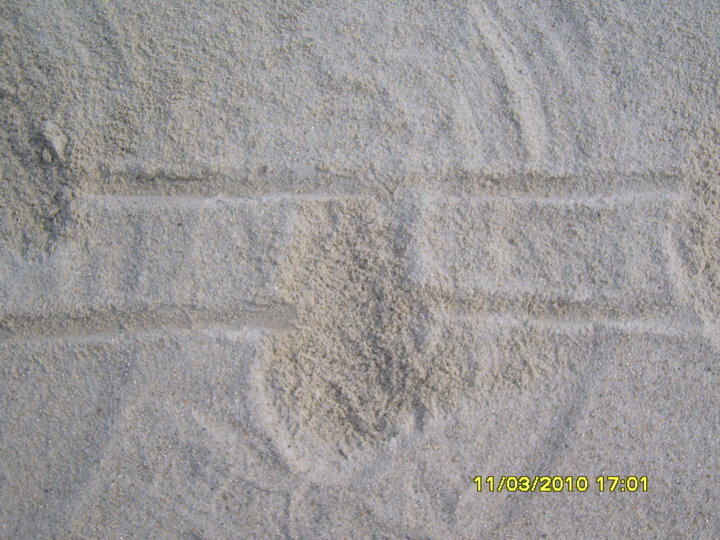 Draw two parallel lines in the sand, about a hand span apart. (The ball would be positioned a ball in front of the back line) See picture. With the clubface SQUARE to your target and your feet parallel, begin making practice swings intending to hit the back line with the club. Practice this until you can consistently hit the line 8 of 10 times. WITHOUT THE BALL. Once you have completed the drill without the ball, put a ball in the middle of the lines and repeat. 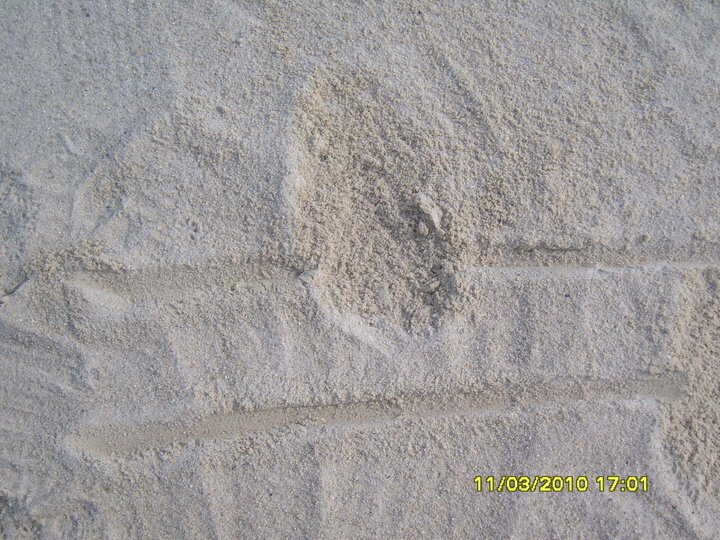 It is vital that you accelerate through the sand into a complete follow through. Place your clubface square to the target and your feet parallel to this line. Make a full swing and HIT THE LINE. Place your clubface square to the target and your feet 20º open to the target line. Make a full swing along the line of your feet and HIT THE LINE. This technique is the easiest way to play a bunker shot consistently. By keeping the clubface square we eliminate the guess work involved with opening both the stance and the clubface at address. When you have mastered the technique you can experiment with the clubface open. 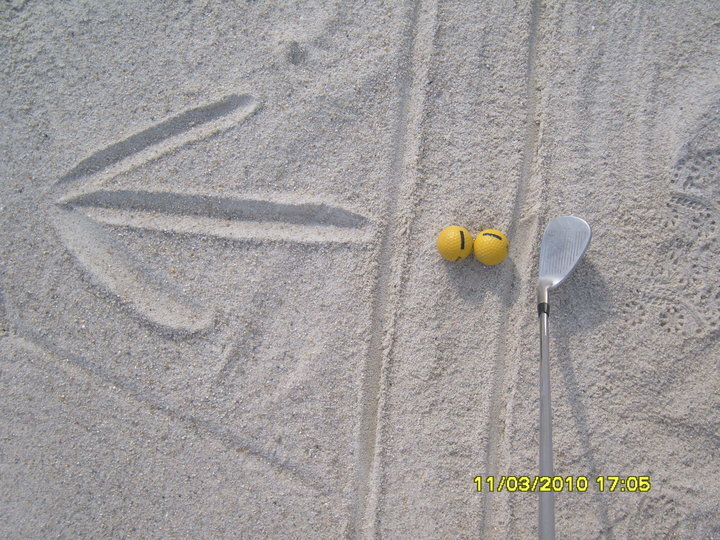 Your knees should be flexed more to encourage hitting the sand behind the ball. 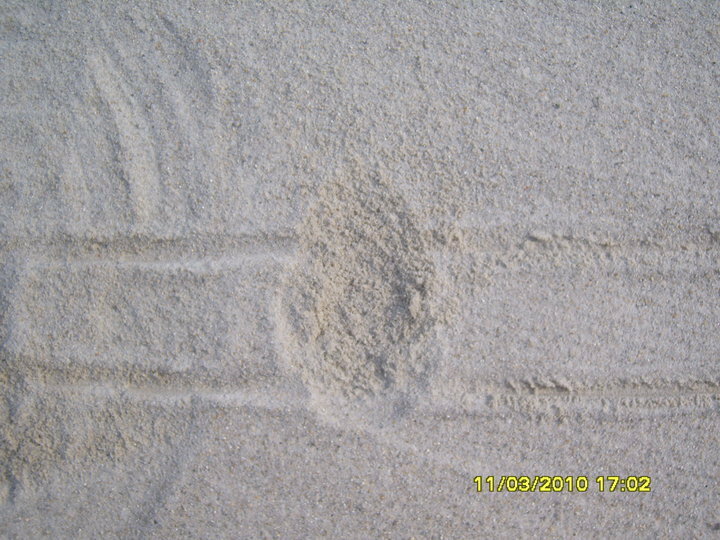 Shuffle your feet into the sand to give yourself a firm and balanced base. Push your hands forward (toward the target) to help create a steeper swing. Your wrists are more involved throughout the swing, creating the steep angle required to drive the club head through the sand. The length of swing is a sticky point, because I believe that the swing should be around half way for all shots when using this technique. One last word of advice, COMMITMENT is the main key to escaping the bunkers.